Sorry, we can not pick you up after 17 o'clock. The next day's sending is possible from 9 o'clock. 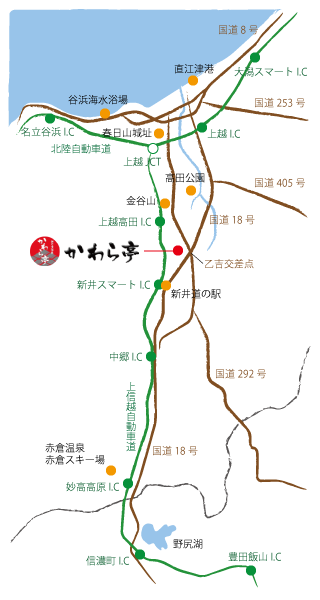 ●Hokuriku Shinkansen (bullet train)"Jōetsumyōkō Station"
8 minutes by taxi from "Arai Station" "Jōetsumyōkō Station"